TOXALIM Research Centre in Food Toxicology is a Joint Research Unit (UMR 1331) of INRA with the National Veterinary College of Toulouse (ENVT), the Purpan College of Engineers of the Institut National Polytechnique de Toulouse (INPT- EI Purpan) - and the Université Toulouse III - Paul Sabatier (UPS). Thus, TOXALIM contributes to the development of knowledge about the long-term effects on human and animal health of toxic compounds such as agricultural inputs, pesticides, mycotoxins, migration of packaging componnents, and other food contaminants. Projects are especially focusing chronic exposure to low doses of such contaminants, possibly in mixtures and during critical phases of development of organisms (neonatal or perinatal). TOXALIM is heavily involved in higher agro-veterinary education and university curriculum in toxicology, at Master and PhD levels, as well as in technology transfer and partnerships with agrofood manufacturers as well as human and veterinary pharmaceutical companies . 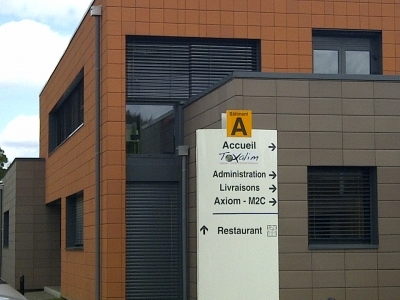 Regionally, TOXALIM is at the center of the consortium PA3S (Pôle Aliment: Sécurité Sanitaire & Santé) a Public-Private research Partnership on Food Safety and Food and Health issues) and the GIS Toulouse Agri-Campus (Groupement d'Intérêt Scientifique), and works closely with the two competitiveness clusters, present in its area of ​​expertise: AgriMip-Innovation and Cancer-Bio-Santé. TOXALIM teams are involved in many large collaborative research projects, both at national (ANR, PNRPE, ANSES ...) and european (FP6, FP7, Horizon 2020...) levels.